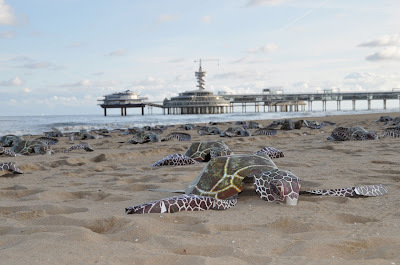 300 Turtles made of cardboard on the beach of Scheveningen The Netherlands last friday for IFAW. 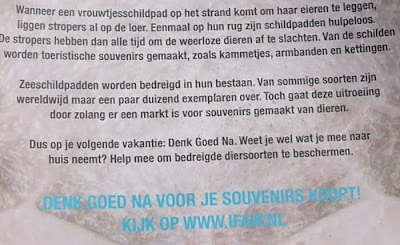 At the bottom of the guerilla campaign item a note: think twice before buying me when on holiday. We aren’t a souvenir. Turning a Turle upside down is also the thing what poachers do. Once a turtle on its back, she is powerless. Agency: Rapp Amsterdam, The Netherlands.